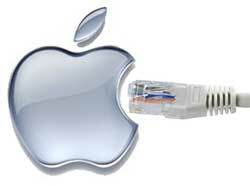 Apple (AAPL) is hoping to break ground in mid-August on its $1 billion data center in North Carolina. Apple is known for keeping its new technology secret prior to launch. So it's not surprising that the company has had little to say about its $1 billion data center project in North Carolina. The new iData Center may not get the fanfare of a MacWorld keynote when it launches, but one thing is clear: Apple plans to move quickly to the construction phase. "It's my understanding that they want to have bulldozers on-site in mid-August," said Scott Millar, execurtive director of the Catawba County Economic Development Corp. "They're moving ahead rapidly with permitting and acquiring the land, with the intent of hitting the ground running." That's an ambitious schedule. The company announced its selection of North Carolina on June 3, and attended an event July 6 in Maiden, North Carolina to announce local incentives. The company has yet to acquire the land in Maiden, but Millar said he anticipates that should come together quickly. The Catawba EDC owns options on a 183-acre tract of land that comprises most of the site, and will be assigning those to Apple once the company acquires several adjacent plots that will also be included in the campus. The company hasn't officially confirmed that Maiden is the site, but is working with Maiden officials on specific plans for sewer service and amendments to local zoning for data center use. Millar said Apple's plans call for a single 500,000 square foot data center structure. The site has a 36-inch water line, dual fiber lines available and a 100 kilowatt power service from Duke Energy. Millar said he expects Apple will be paying close to 4 cents a kilowatt hour for power. The facility will serve as Apple's primary East Coast data center. "Their initial commitment is only to the single facility and a $1 billion investment," over the next 10 years, Millar said. The Apple data center is expected to bring 50 full-time jobs and 250 temporary construction jobs to a an area that has been hard hit by the economic downturn. Catawba County has an unemployment rate of 15.5 percent. The new North Carolina facility will be nearly five times the size of the 109,000 square foot Newark, Calif. data center Apple bought in 2006 to support its growing infrastructure. Apple also operates a data center on its Cupertino, Calif. campus, and has used content delivery networks from Akamai (AKAM) and Limelight Networks (LLNW) to distribute content to its users around the globe.